iPhone: Leave This Conversation Grayed Out or Missing? The Fix! You are at:Home»iPhone»iPhone: Leave This Conversation Grayed Out or Missing? The Fix! You’re in a group text message or iMessage conversation and you want out. You like your friends, but they’re blowing up your iPhone and enough is enough. You tap Details in the upper right-hand corner of the Messages app, scroll down, and Leave this Conversation is grayed out or missing. In this article, I’ll explain how Leave this Conversation works, why it’s missing or grayed out, and how to get out of a group text message or iMessage conversation on your iPhone. We’ve been getting group text messages for years, but Leave this Conversation was only recently introduced. The reason is that Leave this Conversation applies to iMessage conversations, which are iMessages between more than two people. If you’re wondering where to look for Leave this Conversation, open the Messages app, open any group message, tap Details in the upper right-hand corner, and scroll down. Up until very recently, all of the “group texts” we’ve participated in have used the text messaging plan we purchase through our wireless carriers to send and receive messages. Apple recently introduced iMessage conversations, which are group messages that use Apple’s iMessage technology instead of your text messaging plan. Check out my article about the big difference between iMessages and text messages if you’d like to learn why using iMessage for group texting is an important step forward. Why Hasn’t There Been A “Leave This Conversation” Button Before? To understand why Leave this Conversation is a new feature, it’s important to first understand the fundamental difference between group text messaging and iMessage conversations. 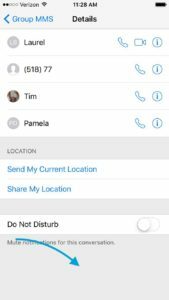 With group text messages, each person directly messages all the other people in the group, and each person’s iPhone keeps track of the participants in the conversation. 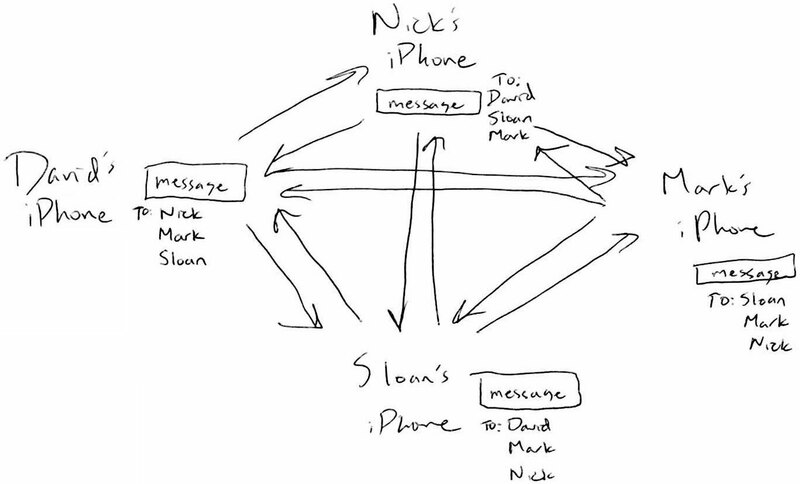 With iMessage conversations, the iMessage server acts as a middleman between all of the participants. Instead of using the cellular network, all of the messages travel through the iMessage server and the server keeps track of the participants in the conversation. Open the Messages app, tap to open the group message, and look just underneath the clock at the top of the screen. If you see Group MMS, you are in a standard group text message. If you see Group, you are in an iMessage conversation. Your iPhone doesn’t have the ability to directly tell other iPhones that you want to leave a conversation, but it can communicate with Apple’s iMessage server. 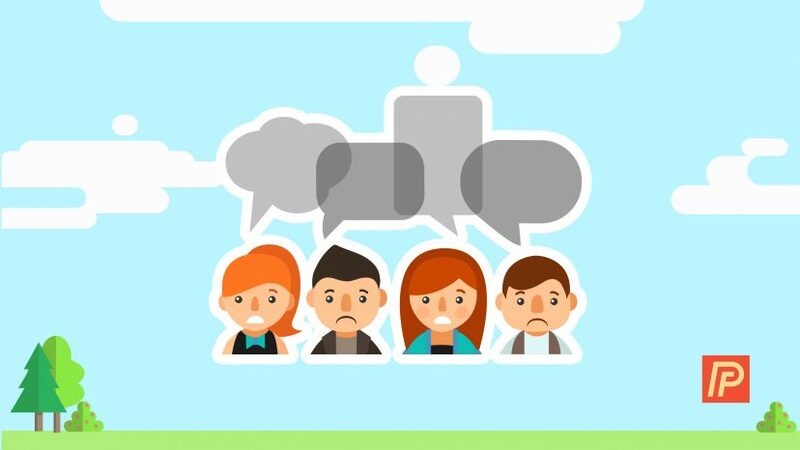 Since the iMessage server keeps track of the group participants, each person has the ability to leave a conversation – usually. If Leave this Conversation is missing or grayed out, read on to find out why. Why Is Leave My Conversation Missing? If you don’t see the Leave this Conversation button, you are in a traditional group text message, not an iMessage conversation. Group texts use your wireless carrier’s text messaging plan, and since iPhones can’t directly tell other iPhones they want to leave a conversation, leaving is not an option. How Do I Leave A Traditional Group Text Message? This may seem trite, but it’s the truth: Ask nicely or block the numbers. You don’t have any more control over whether you receive a group text message than you do when receiving regular text messages. If you’re really fed up, my article about how to block callers on an iPhone works for text messages too. If Leave this Conversation is grayed out on your iPhone, there are only three participants in the iMessage conversation, and you can’t convert a three-person iMessage conversation to an iMessage between two people. 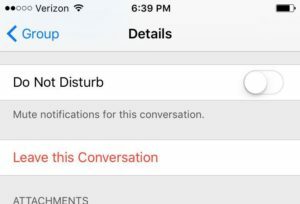 Even if you delete the entire conversation from your iPhone, you will be added back to the group the next time someone sends a message. The only way to leave a three-person iMessage conversation is to add someone else to the group so it becomes a four-person conversation: Then you can leave. Why Can’t I Leave A Three-Person iMessage Conversation? Bear with me: Theoretically, if you were to leave the conversation, there would be only two participants, and it would no longer be an iMessage conversation. Instead, it would be a regular two-person iMessage. This seems like a feature that should have been introduced along with iMessage conversations, but it wasn’t. Apple programmers are undoubtedly working on this functionality now and will release it as part of a future iOS update. When Can I Leave This Conversation? Leave this Conversation only works if you are in an iMessage conversation with four or more participants. Leave this Conversation is a great feature that has yet to fully mature, and it’s definitely confusing if you don’t understand how and when it works. Feel free to share your thoughts in the comment section below, and if you have any other questions, the Payette Forward Community is a great place to get help. Previous ArticleWhat’s The Difference Between iMessage and Text Messages on iPhone? Next Article iPhone Speaker Not Working? Here’s The Real Fix!